Here is the ACF story. People engage in politics to turn their beliefs into policy. They form advocacy coalitions with people who share their beliefs, and compete with other coalitions. 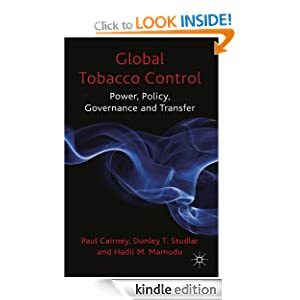 The action takes place within a subsystem devoted to a policy issue, and a wider policymaking process that provides constraints and opportunities to coalitions. Policy actors use their beliefs to understand, and seek influence in, this world. 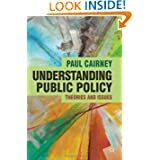 Beliefs about how to interpret the cause of and solution to policy problems, and the role of government in solving them, act as a glue to bind actors together within coalitions. If the policy issue is technical and humdrum, there may be room for routine cooperation. If the issue is highly charged, then people romanticise their own cause and demonise their opponents. The outcome is often long-term policymaking stability and policy continuity because the ‘core’ beliefs of coalitions are unlikely to shift and one coalition may dominate the subsystem for long periods. There are two main sources of change. Coalitions engage in policy learning to remain competitive and adapt to new information about policy. This process often produces minor change because coalitions learn on their own terms. They learn how to retain their coalition’s strategic advantage and use the information they deem most relevant. ‘Shocks’ affect the positions of coalitions within subsystems. Shocks are the combination of external events – such as the election of a new government with different ideas, or the effect of socio-economic change – and the reaction by coalitions. Events may prompt major change as members of a dominant coalition question their beliefs in the light of new evidence (internal shock). Or, another coalition may adapt more readily to its new policy environment and exploit events to gain competitive advantage (external shock). The ACF began as the study of US policymaking, focusing largely on environmental issues. It has changed markedly to reflect the widening of ACF scholarship to new policy areas, political systems, and methods. 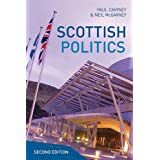 A focus on the ‘openness of the political system’ partly reflects applications to countries without free and fair elections, and/ or systems that do not allow people to come together easily as coalitions to promote policy change. As such, like all theories in this series, the ACF discusses elements that it would treat as (a) universally applicable, such as the use of beliefs to address bounded rationality, and (b) context-specific, such as the motive and opportunity of specific people to organize collectively to translate their beliefs into policy.